Belarus’ strained relationship with Russia illustrates the contradictory relationship between its leadership and that in Moscow during the presidential election campaign. The problematic areas include the war in Ukraine and the closely related issue of collaboration in the military-industrial complex. In late 2014, at a meeting between president Aliaksandr Lukashenka and Russian Minister of Defence Sergey Shoigu, the latter proposed to station a regiment of 24 Sukhoi Su-27SM3 Flankers at the Babruisk Air Base. Russia already uses other bases in Belarus to deploy SU-27s, in response to NATO operations in Lithuania and Estonia. Currently Russia operates two military objects in Belarus: a naval communication station near Vileyka, in service since 1964 and the Hantsavichy Volga-type radar station near Baranovichi founded in 1986, but fully functional only from 2003. 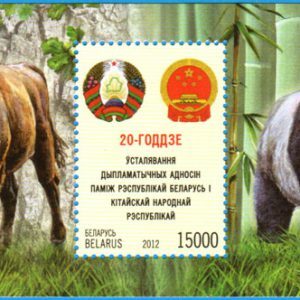 It intends to open the new base in Babruisk in 2016. Belarus is caught in a fragile situation between NATO and the Russian Federation, a position exacerbated by the forthcoming election as the president seeks more support from the West. Having decommissioned its own Su-27s, Belarus becomes central in Russian plans to bolster forces in response to United States’ decision in late August to station F-22 Raptors in Europe. The opposition quickly turned on these plans. After the release from a correctional facility of Mikalai Statkevich on 23 August, he held an interview with Radio Svaboda on 3 September, in which he launched an attack on the stationing of SU-27s on Belarusian territory. Statkevich argued also that the proposed new base could be a cover for use of nuclear weapons. The obvious target, in his opinion, is Kyiv 350 kilometers to the south. These bases will make Belarus a target and constitute a threat to our national security. Given the conflict in Ukraine, it is irresponsible to station weapons of another country on our territory, as well as in the entire region, as they can be fired at any time. In theory, the weapons could not be fired without the consent of Belarus. Klaskouski also discussed the Russian government’s goal of joint protection of the external borders of the Union State and using Belarus “as a sword against the West.” He considers it the “Achilles heel” in terms of public relations, and particularly inappropriate for Belarus to enter the confrontation between Moscow and the West when the country’s relationship with the European and United States has normalised. Belarusian state news agency Belta reported on 21 August that the Belarusian president denied that he faces a choice between Russia and the West. He maintained that Russia can have no doubt as to our “honesty, principled [position] and reliability.” Nevertheless, he continued, “we wish to normalize relations with the European Union and America” just as with Russia or any other state. Yet Russian critics—“weathercocks [flyugery] and provocateurs”—continue to pester him, as Lukashenka acknowledged at a meeting with Aleksey Miller, chairman of Gazprom in late August. Does Russia Seek Regime Change in Minsk? Belsat analyst Mikhas’ Likhtarovich points out that in the view of the Russian leadership, Moscow finances keep the Belarusian leadership in place. A decision needs to be made on how to deal with Lukashenka, and hasten the integration of Belarus into Russia. Such integration presupposes the introduction of the Russian ruble (an old canard first debated in the mid-90s), the transfer of executive functions to Moscow and even lustration of Belarusian officials. The current assaults during an election campaign resemble those of the 2010 elections when Moscow’s NTV network ran the 5-part documentary “Krestnyy Bat’ka” (The Godfather) but with the significant absence of a war in Ukraine to increase the external pressures on Minsk. Writing in Eurasia Review last week, Paul Goble cited Arseniy Sivitsky of the Belarusian Center for Strategic and Foreign Policy Research that if Belarus refuses to agree to the new Russian base in its territory, Russia may take steps to destabilise its neighbour. Fellow analyst, Yury Tsaryk, maintains that Russians concur that Lukashenka has betrayed Vladimir Putin and thus favour a regime change in Minsk to bring the recalcitrant ally under full control. The Russian government, however, has not expressed that view and media attacks remain milder than five years ago. Russia’s economic assistance to the “Near Abroad” has experienced a steep decline. In turn, the fall of GDP, collapse of currency, and general recession in Russia has brought analogous dilemmas to the Belarusian economy. Between January and July 2015, compared to 2014, GDP has fallen by 4%, exports incomes declined, and foreign capital dropped. Belarus lacks sources for internal stimulation, according to experts of the Eurasian Bank of Development. The joint problems, together with Ukraine’s disaffection, further induce the Russian side to step up integration. 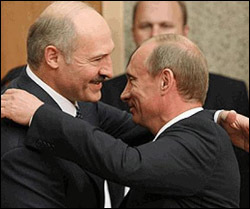 During the election campaign, Lukashenka has adopted a strong patriotic stance to undermine the so-called “nationalist opposition.” Thus he needs to delay commitment to the Russian base and further integration to attain a comfortable victory in the coming elections, with a mollified West reducing its traditional support for the opposition and—he hopes—recognising his victory. The Russia problem looms large, but the government intends to win the elections and wait out the economic crisis before making further commitments to Moscow. David Marples is Distinguished University Professor, Department of History & Classics, University of Alberta. Uladzimir Padhol is Belarusian political scientist and journalist, editor and publisher of Narodnyi televisor. Tsitaty i baiki A.G. Lukashenko [People’s Television: Citations and Stories of A.G. Lukashenko], which is now in its thirtieth edition.